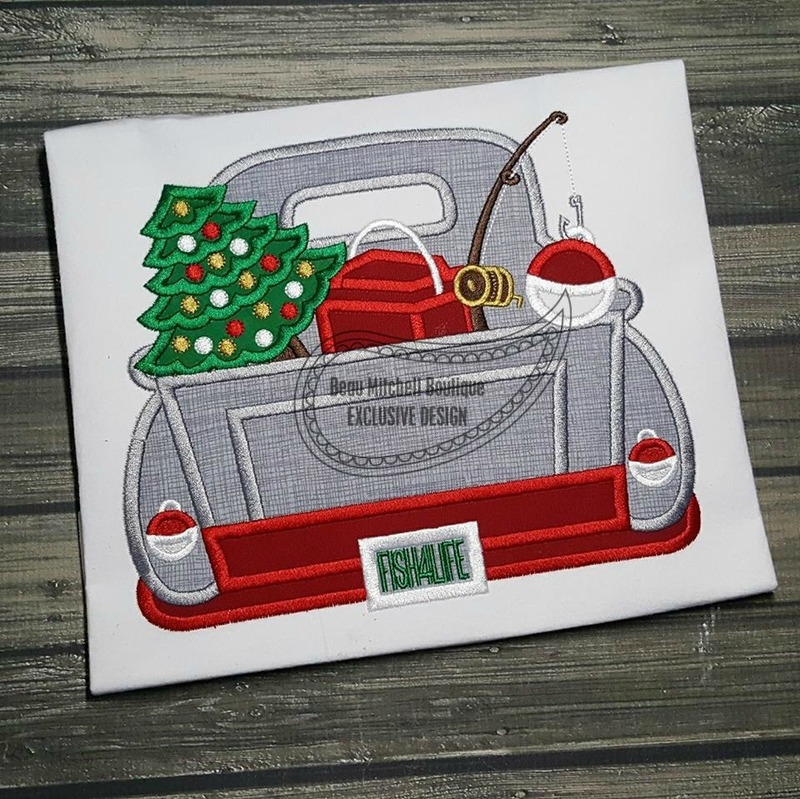 Fishing Christmas Truck Applique - 3 Sizes! This is a 4 color applique in 3 sizes. Fishing Dog Truck Applique - 4 Sizes! Fishing Hat Applique - 4 Sizes! 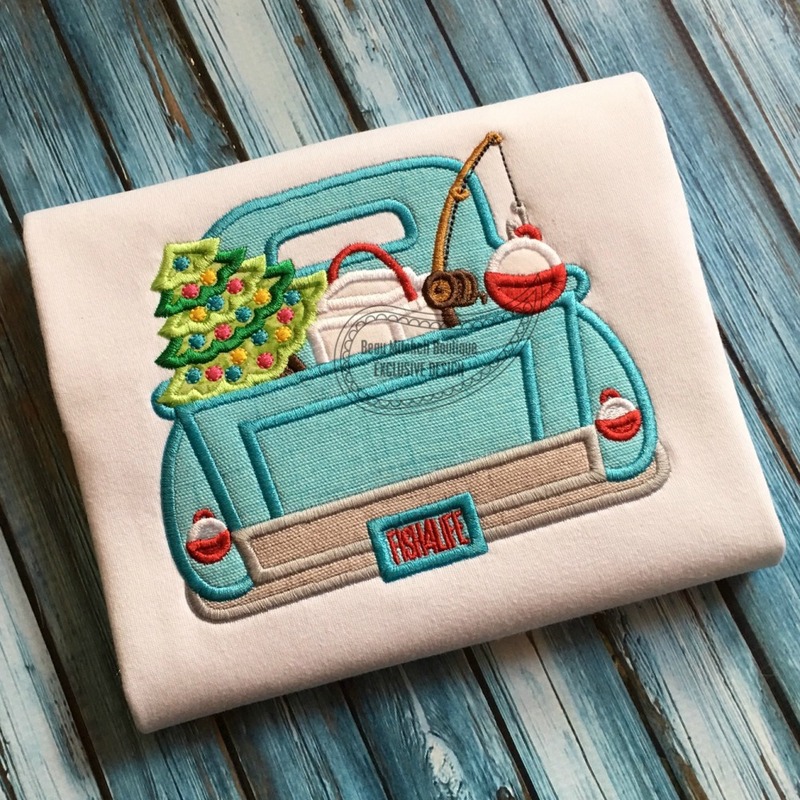 Fishing Truck Applique - 5 Sizes! Christmas Moose Applique - 4 Sizes! Finish Size 5.81" x 4.88"
Finish Size 7.43" x 6.24"
Finish Size 9.02" x 7.57"